This Squarespace site was built when we started, but the owners wanted a more professional layout and design. We stepped in, added some contact features and made some design changes. We also properly registered the site with Google and Bing and added some internal Search Engine Optimizations features. 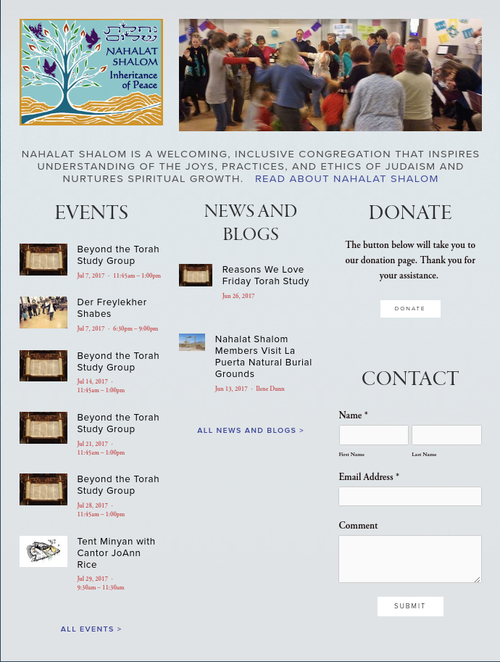 For a fraction of the cost of a weekly ad in a newspaper, Nahalat Shalom significantly upgraded the quality and visibility of their web presence. We would be happy to do the same for your organization or business.